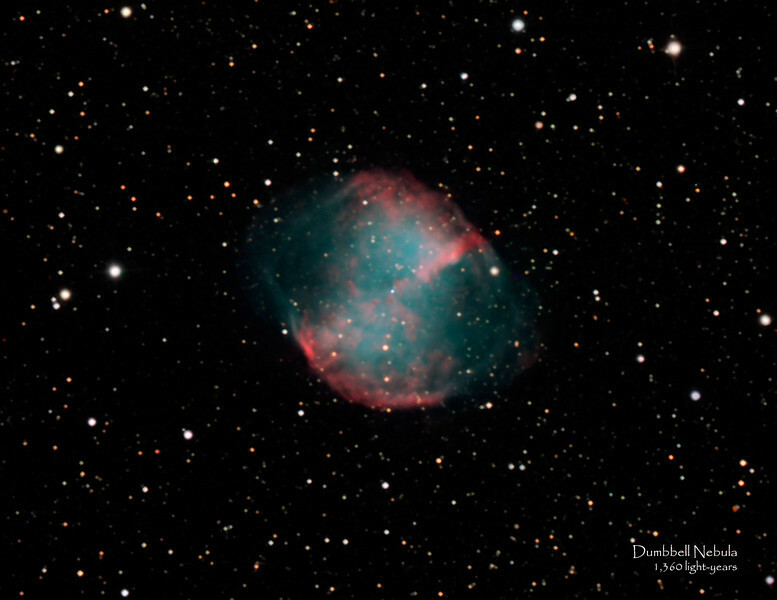 Dumbbell Nebula (M27) is about 1,360 light years away. It is a planetary nebula in the constellation Vulpecula. At the center is a white dwarf star larger than any other known. The nebula was formed when the star's outer shell cooled, contracted and then exploded, spreading the dust and other materials that form the nebula. This was estimated as happening around 9,800 years ago.